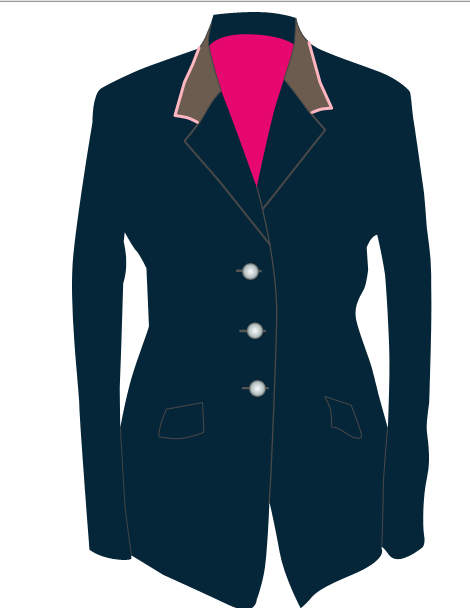 If you go to flying-changes.com there is this great "create your own dressage jacket" app. Here is the one I created. It may not be the precise jacket I dream about, but given the USEF/USDF rules and the available colors, it is close!!! Just 365-395 euros, or $505-$550. Rules on colors? I thought the only rule was "coat of a conservative color" which meant the TD or the judge is basically who gets to decide what is conservative? ?